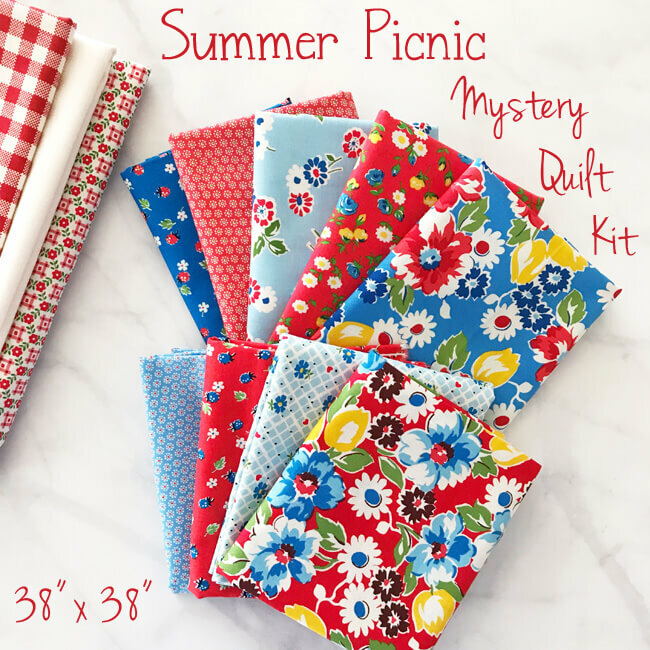 If you are following along on instagram - use #summerpicnicmysteryquilt so we can see your progress! Accuracy is KEY! This quilt requires you to be very accurate with your piecing - A 1/4" quilting foot is recommended for piecing. Do you need a kit?! You can purchase one here! Week on is this really fun star block! You will piece four blocks in two different print variations. The PDF download will have detailed instructions for each block. Make four blocks total - 9.5" x 9.5"
Yeah Finally found one I can do along. I generally find them a year or 2 later. All signed up and ready to start on #1!